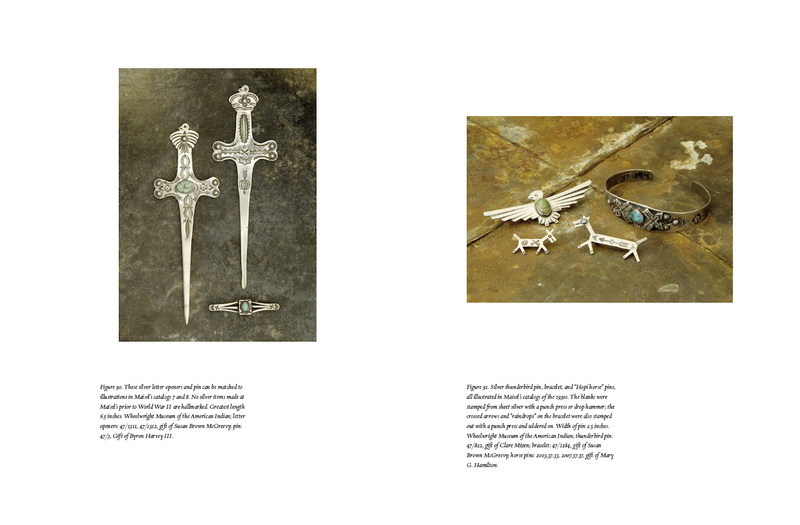 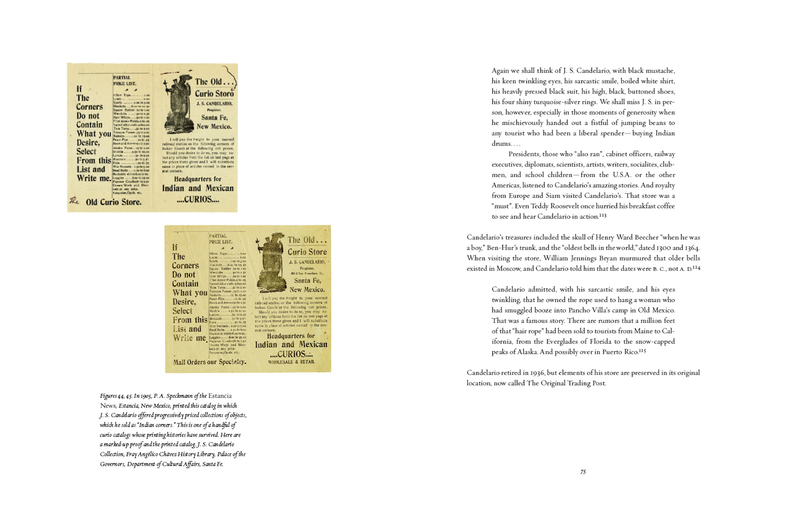 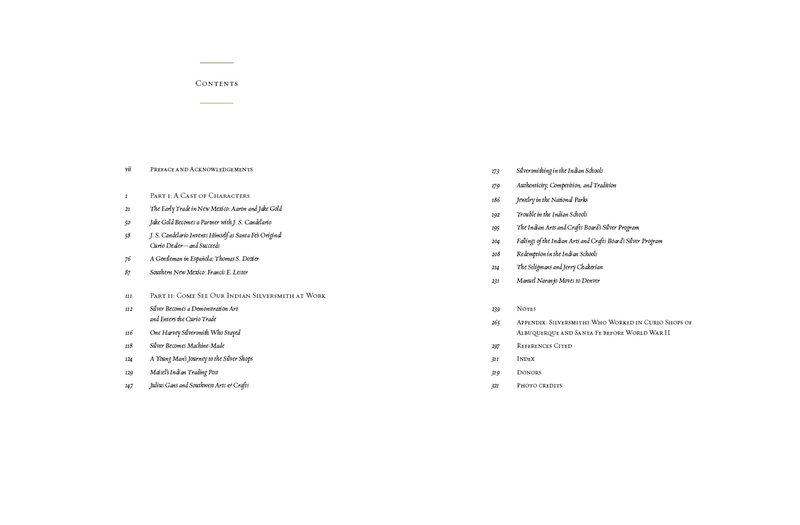 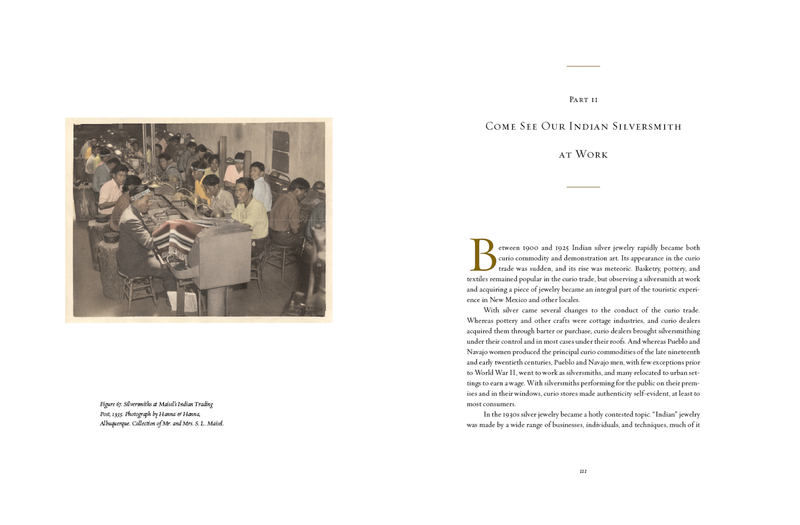 336 pages; 151 illustrations; appendix with information on more than 200 silversmiths who worked in curio shops before World War II. 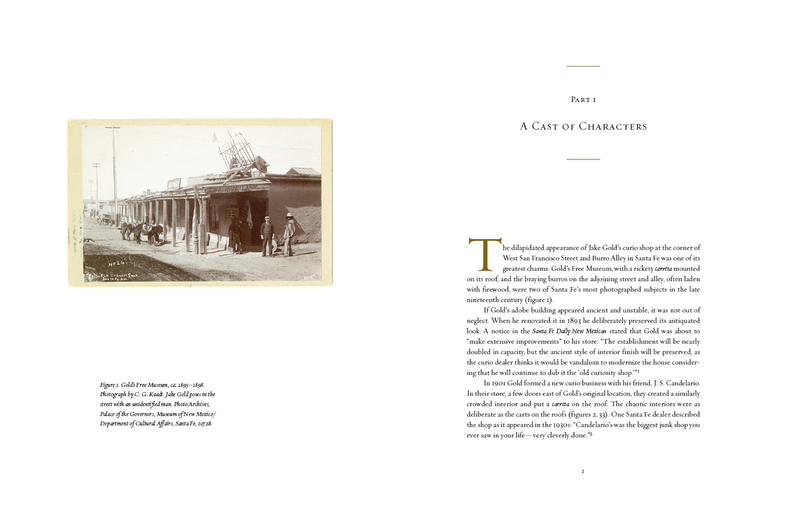 Starting with the arrival of the railroad in 1880, Pueblo and Navajo artisans collaborated with non-Indian dealers to invent artifacts that had no purpose but to satisfy the demand for Indian goods. 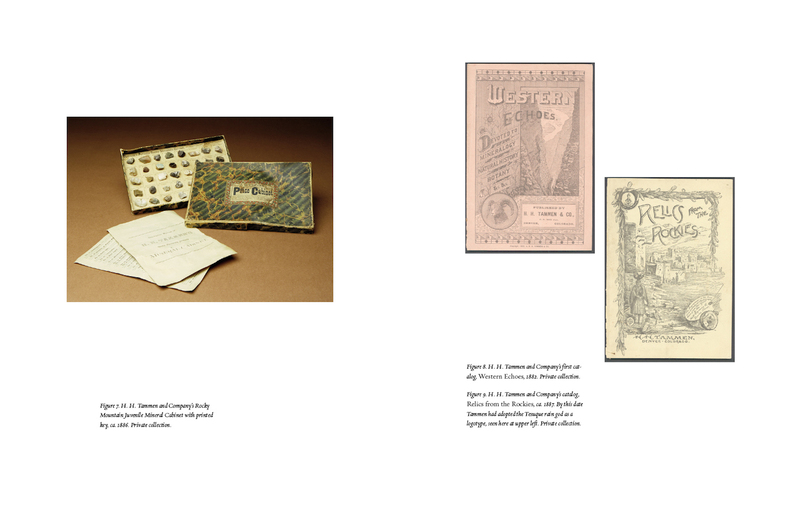 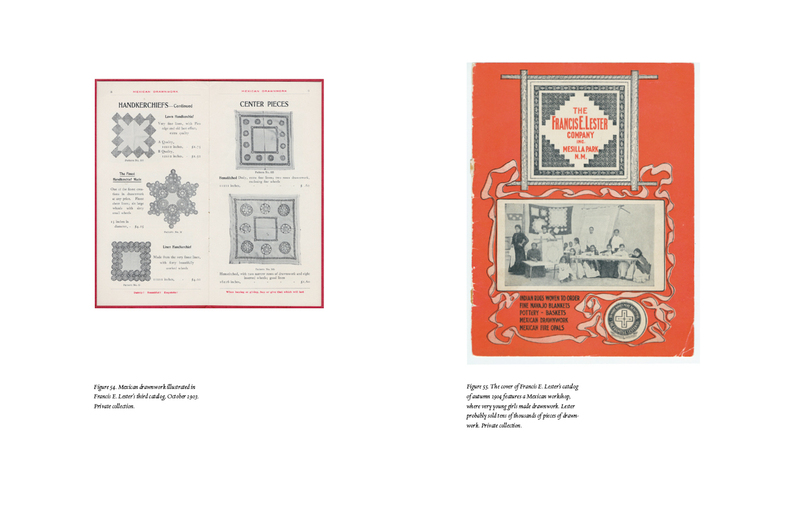 From its inception, the curio trade comprised cottage industries, retail spaces, and a vast mail-order trade, and objects were sold by the thousands. 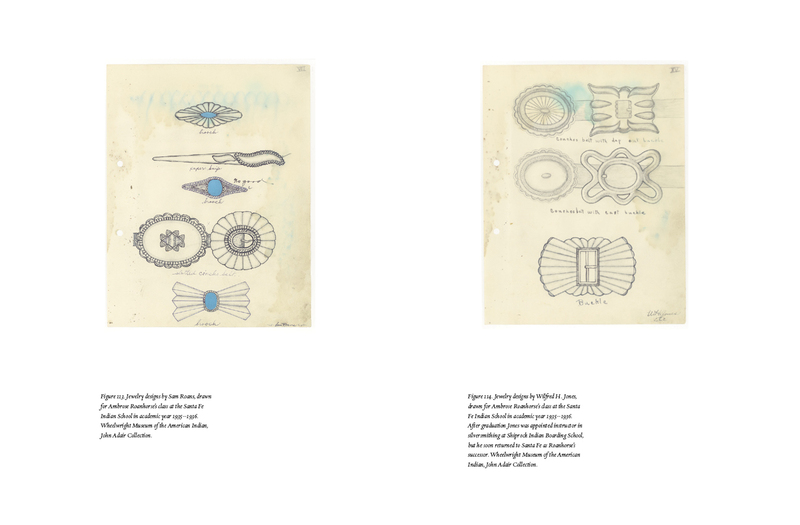 Early in the 20th century businessmen in Denver invented “Indian-style” jewelry, made with the aid of machinery. 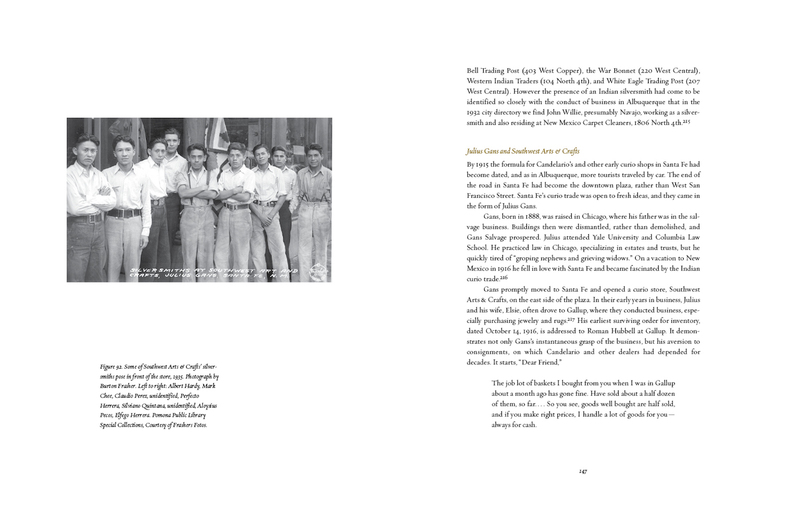 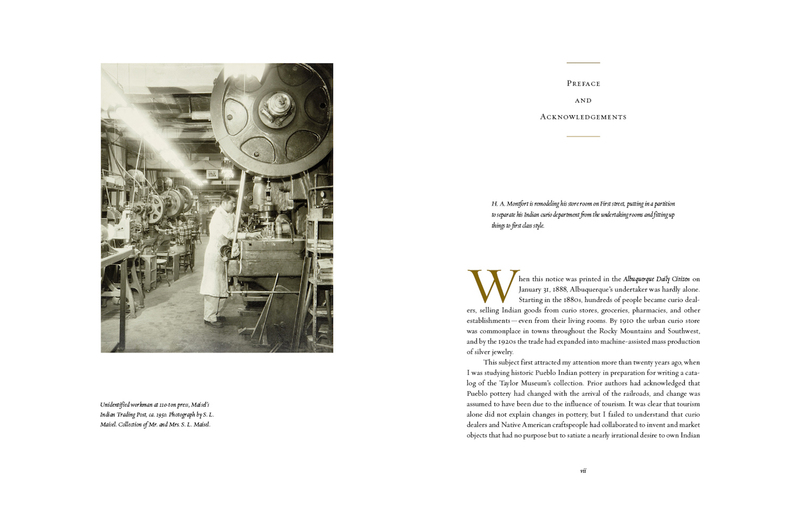 In the 1920s machine-assisted jewelry production spread to Albuquerque and Santa Fe, and hundreds of young Native American men moved to the cities to work in the curio shops. 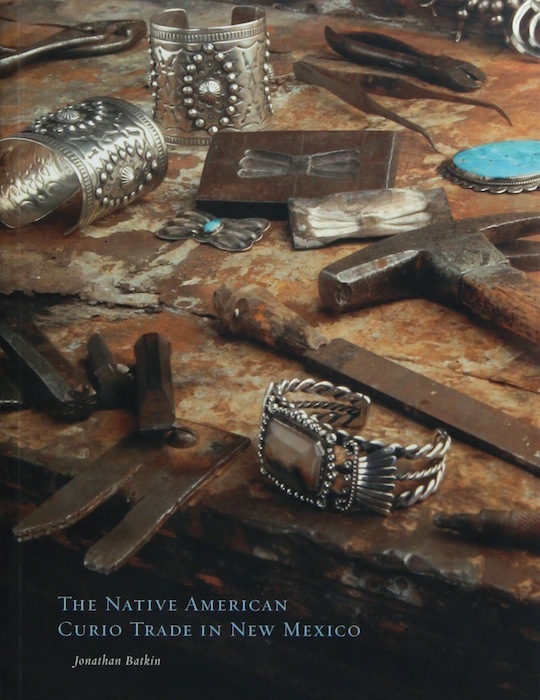 Observing a jeweler at work and acquiring a piece of Indian jewelry became an integral part of the touristic experience in New Mexico. 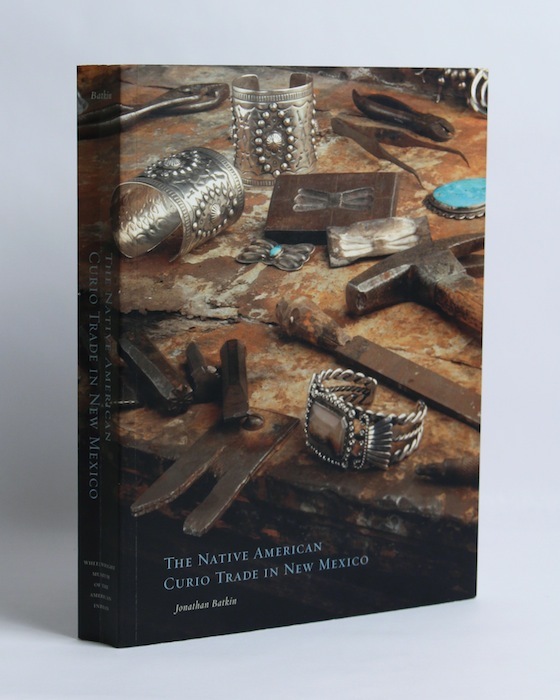 Production methods in the curio shops threatened native traditions and economies, affected the teaching of silversmithing in the Indian schools, and led to federal scrutiny of and control over shop-made jewelry. 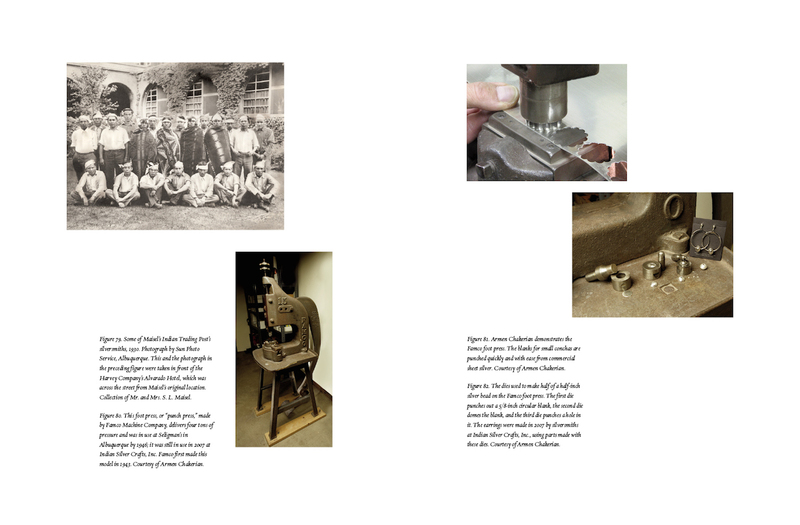 On the other hand, many young men who learned silversmithing in curio shops had successful and celebrated careers as jewelers following World War II. 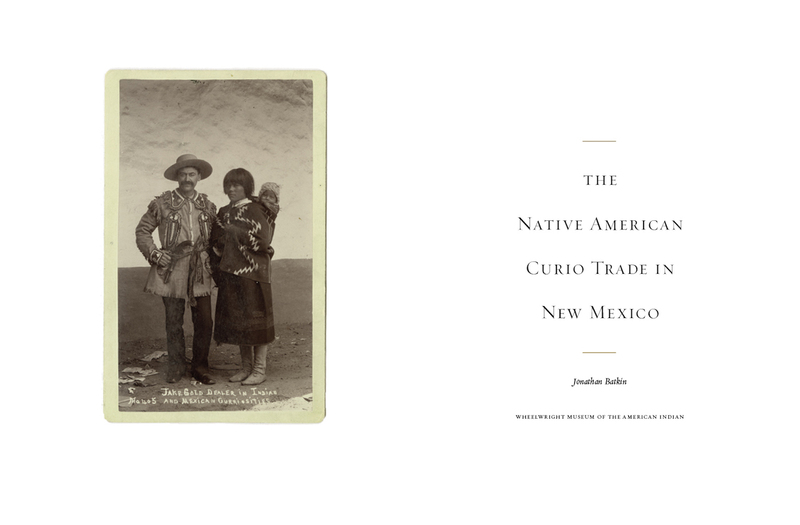 The rich, complex, and controversial story of the curio trade in New Mexico is told here for the first time. 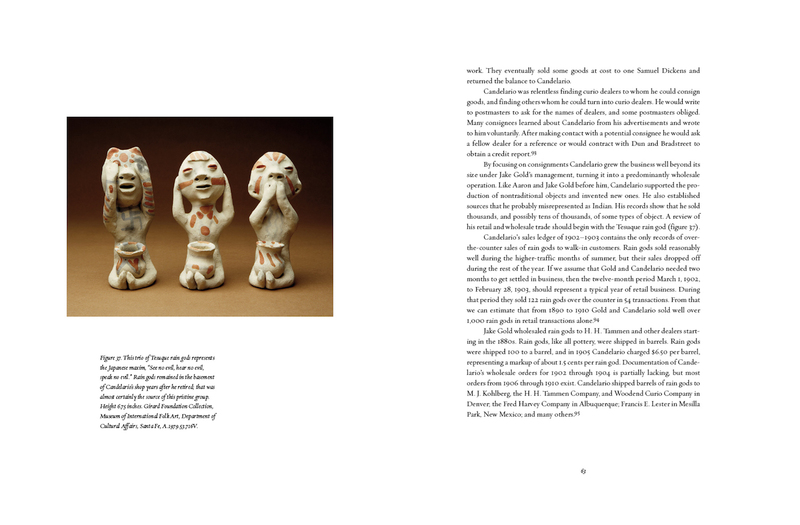 It is not only a story about artifacts, but of personalities, innovations, perseverance, and ultimately the survival of traditions.